For an employee, hearing the words promotion letter, what is immediately registered in their mind is that he or someone is getting a job promotion. However, for a business person, a promotion letter means promoting new products and/or services. It is an essential tool that they can use to promote a product launch plan of their business. Because of the current market and economic situation, a lot of people may cut down their spending habits. And since your customers are the lifeblood of your business, it is important to entice them into being curious about your new products and/or services, without imposing aggressive sales strategy. Although there are a lot of modern ways where you can communicate with your target customers and clients, one can never underestimate the power of writing a good business promotion letter. Hence, writing an effective business promotion letter is a powerful communication tool that allows you to communicate with your target market why they should choose and purchase from you and not from your competitors. Oftentimes, small and large-scale companies write and receive business promotion letters from time to time. The purpose for writing a business promotion letter is to create an interaction with your business clients, as well as to introduce and promote the new product offerings of your company. Since its main purpose is to promote and introduce new products and/or services to your prospects and customers, you can use it as a form of business flyers that will contain all the essential details not just about the product but the company as well. While it is also a form of a business letter, it should always follow the formal formatting and lighthearted. When writing a business promotion letter, you must ensure that the all the information that is written on your letter should be factual and accurate; otherwise you will certainly lose the confidence and trust of your target customers. The terms promotion campaign and advertising plan are two of the most common words that are often used interchangeably. Unfortunately, there are a lot of business people who are confused about how a business promotion is different from an advertisement. 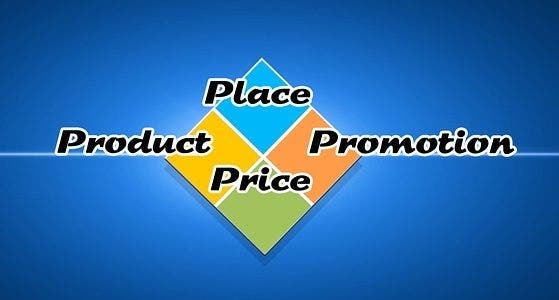 According to the article that is published on the Economic Times website, “a promotion refers to the entire set of activities, which communicate the product, brand or service to the user. The idea is to make people aware, attract, and induce to buy the product in preference over others”. On the other hand, advertising is defined by the Business Dictionary as “the activity or profession of producing information for promoting the sales of commercials products and/or services”. Advertising often involves money because the entrepreneur will pay the advertising agencies to get their messages across their target customers and/or clients. Hence, the purpose of advertising your products and/or services is to inform or influence the prospective customers to buy your business offerings. If you want to promote your business without having to spend a fortune on advertising materials, then the best way to go is by writing a good business promotion letter. Imagine how a business letter can your direct ticket to promote the offerings of your business far-reaching to your target customers. Thus, it makes sense to say that it is the most practical and effective approach to drive and boost the sales of your business because it can reach your prospects even if they are thousands of miles away from your establishments. Below are some tips on how to write a sales letter that can help promote your business, as well as grab the attention of your prospects and establish a strong and solid business relationship with them. Whether you will personally create or download a professional and attractive looking template from our website, always make sure to incorporate the letterhead of your company. Your letterhead should bear either the logo of your business. Since we have already mentioned that a promotion letter is a form of business letter, it must follow the standard format of writing a letter of business. The correct size for the left and right margin should be 1-inch and the spacing between the paragraphs should be single. Use Times New Roman, Verdana, Calibri, or Arial for your font style and its size should be between 10 to 12 points. Just like any types of standard business letter, you should open your business promotion letter with a salutation. Take for example, most letters starts with “Dear Kevin Smith” or “Dear Miss Jane Fernandez”. If the recipient is a female and you do not have any idea if she is a Miss or a Mrs., then the safest option to use is Miss. However, using the correct salutation can be a bit tricky, especially if you do not know whom to address the letter. Although you can just write “To Whom It May Concern,” this phrase is too outdated and informal. Anyhow, you can go with “Dear Sir/Miss” and make sure to end the salutation with a colon. Using dynamic words and showing a level of professionalism is a great way to attract target customers. One of the main purpose for writing a business promotion letter is to spark the interest of the reader to get to know you and your products more. In order to effectively engage them into reader your letter, you can choose to offer special deals and promo, as well as discount cards and coupon vouchers. After providing all the information that your customers need to know about your business offerings, make sure not to leave them hanging. A call to action is a great way to give direction about what they should do next. Before you decide to send your business promotion letters to your target market, it is extremely important to check it for spelling, typo, and grammar errors. Proofread it a couple of times or have a friend check it for potential errors.